A homozygous 83-kb deletion encompassing the genes for complement factor-H-related proteins 1 and 3 (FHR 1, FHR3) is known as a risk factor for some immune inflammatory disorders. However, the functional relevance of this FHR1/3 deletion is relatively unexplored. Globally, healthy populations of all ethnic groups tested show an 8–10% prevalence of homozygosity for this deletion polymorphism. We have begun to compare the peripheral leucocyte phenotype and functionality between FHR1/3−/− and FHR1/3+/+ healthy adult individuals. We report that the two groups show significant differences in their peripheral blood innate leucocyte subset composition, although the adaptive immune subsets are similar between them. Specifically, FHR1/3−/− individuals show higher frequencies of patrolling monocytes and lower frequencies of classical monocytes than FHR1/3+/+ individuals. Similarly, FHR1/3−/− individuals show higher frequencies of plasmacytoid dendritic cells (pDCs) and lower frequencies of myeloid DCs (mDCs) than FHR1/3+/+ individuals. Notably, classical monocytes specifically showed cell-surface-associated factor H (FH), and cells from the FHR1/3−/− group had somewhat higher surface-associated FH levels than those from FHR1/3+/+ individuals. FHR1/3−/− monocytes also showed elevated secretion of TNF-α, IL-1β, and IL-10 in response to TLR7/8 or TLR4 ligands. Similarly, FHR1/3−/− mDCs and pDCs showed modest but evident hyper-responsiveness to TLR ligands. 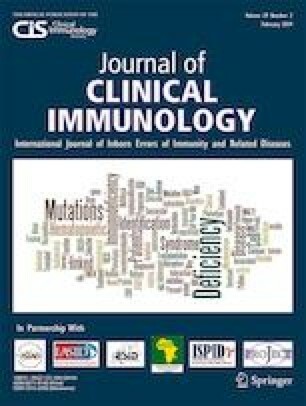 Our findings, that the FHR1/3−/− genotype is associated with significant alterations of both the relative prominence and the functioning of monocyte and DC subsets, may be relevant in understanding the mechanism underlying the association of the genotype with immune inflammatory disorders. The online version of this article ( https://doi.org/10.1007/s10875-019-00619-2) contains supplementary material, which is available to authorized users. AB performed experiments, analyzed the data, and helped in writing the manuscript. BSG, SP, TMS, and MP developed critical tools and analyzed data. AB and SS developed critical methodologies and helped collect the data. AB, PK, HS, PoC, and GP conceptualized the approach, did the critical clinical components of the work, supervised the data collection, and analyzed the data. AKV, PrC, VB, AG, ArS, AB, AmS, PH, and AdS provided crucial conceptual inputs. AB, PG, and SR conceptualized the approach, designed the experiments, analyzed the data, and wrote the manuscript. All authors read, edited, and approved the final manuscript. This study was financially supported by grants: BT/PR8591 and BT/PR22985 from the Department of Biotechnology, Govt. of India (GoI), and from Regional Centre for Biotechnology grants-in-aid from the DBT, GoI to PG. All procedures followed were in accordance with the ethical standards of the ethics committee for human research, and the study was approved by the Institutional Ethics Committee for Human Research of Regional Centre for Biotechnology (RCB, Reference No. RCB-IEC-H-8), Faridabad, India, and the Institutional Human Ethics Committee of the All India Institute of Medical Sciences (AIIMS, Reference No. IEC-/05. 02. 20, RP44/2016), New Delhi, India. SR is a non-executive director of Ahammune Biosciences Private Limited, Pune, India, and a member of the scientific advisory boards of Curadev Pharma Private Limited, NOIDA, India, and Mynvax Private Limited, Bangalore, India. Other authors have no financial or other interest to declare.